The 2019 summit will explore core themes impacting the UK private banking and wealth management sector. The daytime conference programme will seek to offer insight and clarity on the biggest challenges a post-Brexit trading landscape brings but will explore how technical innovations can offer solutions and improvements to enable companies to win greater market share. The event showcases expertise on how private banks and wealth management companies can remain competitive, become future-proof and capitalise on affluent markets to ultimately enhance profitability margins. Once the summit is complete the evening will celebrate the most impressive and successful initiatives from Private Banks and Wealth Management Companies over the past 12 months. Awards will be given for wide-ranging achievements and will highlight leaders in the industry and efforts to progress Private Banking. The event is an opportunity to share ideas, discover trends and network with peers across the wealth industry. 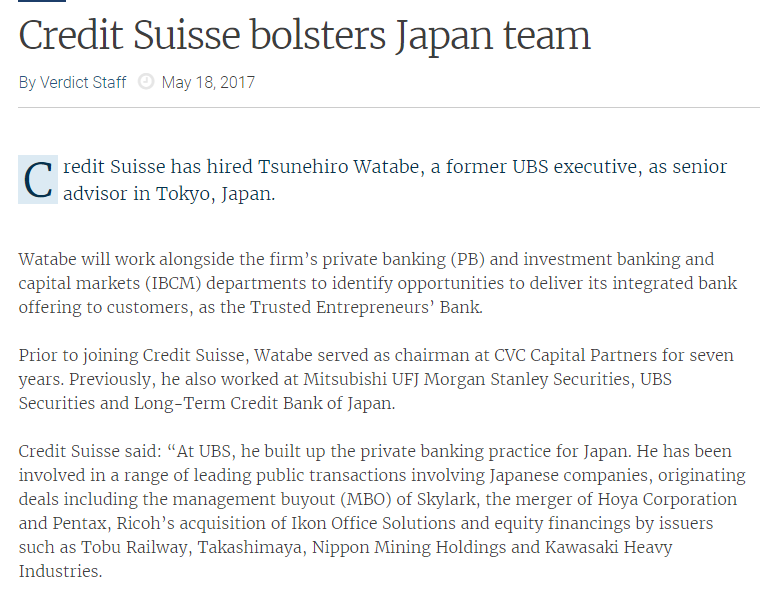 Continuing under the well-known Private Banker International brand. There event will bring nothing but thought leadership, innovation growth ideas and an action plan on how to materialise these strategies. We look forward to welcoming you to our 2019 edition. Each of these sessions will feature the most up to date angles such as the rise of mass affluence, lesson learning from family offices, striking the balance between robo-advice and human interaction, ESG and sustainable investing by the next generation. June will follow a period of greater certainty in relation to Brexit, therefore discussing this in context of wealth management can paint a clearer picture on what the landscape will look like moving forwards. Take advantage of the ample opportunities to engage and share your ideas in the Q&A panels featuring industry experts at the end of each session. Debate the integration of technology and how this contributes to offering a streamlined client experience or understand the key areas forming influencing the next generation of wealth. After an exciting day of valuable insight, kick back and enjoy the award conference which rewards industry pioneers on their contribution to the advancement of private banking and wealth management. With focused sessions, practical workshops, exhibition and an evening gala awards, this event will offer delegates the forum in which to share their experience, challenges and opportunities in private banking in the UK. Be sure to register to ensure you get your spot! This year’s Private Banking & Wealth Management: London 2019 Conference and Awards will be held at the iconic Waldorf Hilton in London’s West End, its central location and high end setting made it a perfect choice for this event. Delegates experienced top rate service while enjoying the beautifully restored historic event spaces. 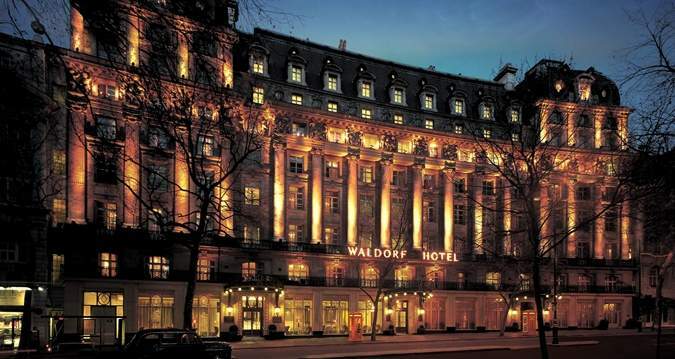 The Waldorf Hilton, London is just a six minute walk from Covent Garden tube station which serves the Piccadilly Line. From here, take the tube to Green Park (three minutes) for Buckingham Palace or Piccadilly Circus (two minutes) for Regent Street shopping. Walk to Charing Cross station in only nine minutes for the Bakerloo and Northern Lines, where you can travel to London’s main shopping district of Oxford Circus and Bond Street in only two stops. If you have would like to join the stage for 2019 please contact our production team using the contact details below, we would love to hear from you. This year’s Private Banking and Wealth Management conference offers thought leadership from the industry’s best minds to showcase the current changes and how we can adapt to these changes as private banks and wealth management companies. Hear from Julius Baer’s Managing Director, Annabel Bosman trace how the role of the private banker has changed in light of changing client demands driven by contextual factors. 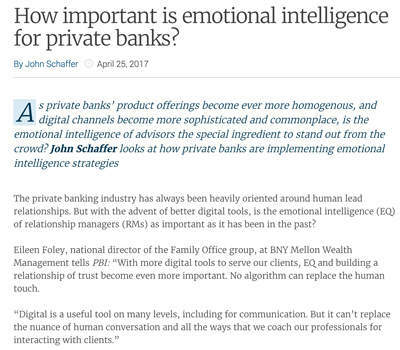 Adapting to these changes is crucial to cement the role of the private banker and continue to cater to a niche client base expecting bespoke services. Along with the longstanding nature of the industry comes the traditional financial advisor. The entry requirement landscape has change rapidly and has become more demanding to be a practicing advisor. As such, it is important to understand how this is changing the landscape as it plays a vital role in forecasting how the industry will look in 10 years time. Additionally, hear from RBS’s Wincie Wong in the Q&A panel who will be considering the rising role of women in the private banking and investment landscape. How do we make this an industry norm, remove bias and highlight this as an industry accomplishment? CEO of C.Hoare & Co, Steven Cooper will explore the private banking’s landscape lag in advancement in comparison to retail banking and how this can be address through technologies catering to complex needs. Re-entering the market with different services that are in line with client needs can alter the competitive landscape. Draw lessons from these industry experts whilst having your say by booking your place today. Societe Generale is at the service of its clients in Switzerland since 1897. The Clients of Societe Generale Private Banking Switzerland benefit from the financial strength and international expertise of a large banking group, combined with our Swiss know-how and local entrepreneurship. Our 400 employees are based in Geneva and Zurich. Thanks to this local human-sized structure, we take an entrepreneurial approach and always start out with the specific situation and request of our Clients. aixigo is one of the largest providers of banking software for financial service providers in Germany, Austria and Switzerland and offers the fastest digital wealth management platform. We believe that digitalisation will reshape the banking industry dramatically. With our technology we enable innovation leaders in digitalising all aspects of the personal investment business. Millisecond responses combined with big data scalability are the foundations of our API first approach. Precisely tuned algorithms and in-memory computing reframe the possibilities of new investment solutions. Dorsum is a multi-award winning, innovative investment software provider. Since our foundation in 1996 innovation has been always the main engine of the company which helped us to become a leading software provider in the Central and Eastern European (CEE) region. Over the last 20 years the company has grown from a few employees into an organization with a staff of more than 300 including an experienced project team for delivering integrated investments IT solutions. Keeping up with business and technology challenges of the financial market, our developments are aimed at investment software. In 1998, Ian Bremmer founded Eurasia Group, the first firm devoted exclusively to helping investors and business decision-makers understand the impact of politics on risks and opportunities in foreign markets. Ian’s concept—bringing political science to the investment community and corporate decision-makers—launched an entirely new industry and positioned Eurasia Group as the world leader in political risk analysis and consulting. Eurasia Group has developed unique services and ground-breaking tools to help clients and the broader public understand the effect of politics and political risk on their world. The latest innovation is egX’ PoliticsFAST– a platform for next generation geopolitical analysis designed to provide investors an edge. The PoliticsFAST platform is the essential toolkit for navigating the intersection of geopolitics and markets. The platform is designed to meet the needs of financial market professionals, wealth managers, investors, and business leaders. You choose the way you receive our intelligence – either a curated set of daily emails or through an online technology-powered dashboard. 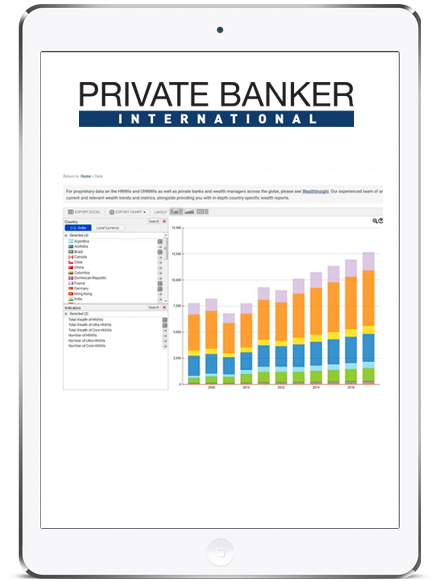 This product is the first in the marketplace to mix Eurasia Group’s geopolitical insights about how politics affects asset prices with real-time financial data. Excelian, Luxoft Financial Services is a part of Luxoft (NYSE:LXFT), a global IT service provider, and is entirely focused on the financial services industry. For more than 165 years, Nykredit has helped Danish families buy their homes and Danish businesses grow. We were founded by our customers, for our customers. And as something quite unique, Nykredit is predominantly owned by an association, which represents our customers. Each and every day, we are guided by our six pledges. The six pledges constitute the essence of our vision, and they tell our customers, partners, employees, owners, investors and society what they should expect from us. Nykredit Private Banking has for more than 10 years provided advice to Danish private banking clients with a focus on providing holistic advisory services, banking and asset management. 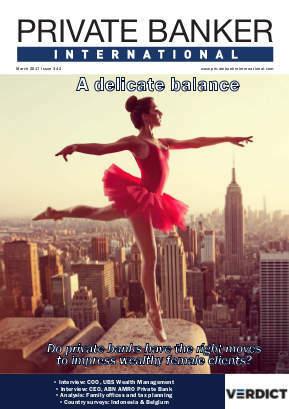 Nykredit Asset Management is one of the leading asset managers in Denmark. At year-end 2017 Nykredit had DKK 179bn of Assets under Management and Assets under Administration amounted to DKK 807bn, within our Wealth Management. Ortec Finance is a global provider of technology and advisory services for financial risk and return management, helping people to manage complex investment decisions. Established in Rotterdam in 1981, Ortec Finance has around 250 employees who combine mathematical ability, business awareness, and practical application to deliver innovative and pragmatic solutions. The company supports investment decision-making for institutional and private investors. Ortec Finance designs, builds, and applies solutions for asset-liability management, ex-ante and ex-post risk management, performance measurement and risk attribution, and goal based financial planning. Its global and long-standing client base, totaling over two trillion dollars in assets under management, comprises leaders in the pensions, insurance, investment management, and private wealth management markets. Orbium helps banks and wealth managers realise their strategy and execution priorities. Widely recognised for exceptional commitment, the firm helps clients to realize revenue growth and efficiency gains through innovation and industrialisation. By effectively blending business and technology consulting with software products and strong partnerships, Orbium enables clients to focus on what matters most: their own success. Simon-Kucher & Partners is a global management consultancy. TopLine Power® is what we are all about. We help our clients grow their revenues and profits by optimizing their strategy, marketing, pricing, and sales, and we do this faster, better, and more sustainably than anyone else. Founded in 1985, we have over 30 years of experience in developing top- and bottom-line growth strategies that deliver measurable results. Our projects increase our clients’ profitability by 100 to 500 basis points on average. We are renowned for our experience in pricing and are regarded as the world’s leading pricing advisor and thought leader. Helping you meet the ordinary and extraordinary spending needs of your internationally mobile U/HNW clients, wherever they are – 24/7; Catella Bank offers branded and non-branded Gold, Business, Prepaid, and exclusive Black bankcard programmes with concierge, lounge access and extensive travel cover. Our cards act as an extension of your private banking and wealth management services – you choose the credit limit for your cardholder and utilise our expertise and real-time services in this highly demanding segment of the bankcards market. With our suite of settlement files you are able to implement straight through processes to settle cardholder outstandings each month and with our online portal your staff are also able to manage cardholders’ accounts real time. With Catella you benefit from a proven world-class solution while reducing your costs and risks, and delivering enhanced services to your clients including 24/7 telephone customer service and real-time online access. Come and see examples of some of the cards we offer – we look forward to speaking to you at the Catella stand and making a tailored proposal to meet the needs of your clients and your business. Whether your client wants to arrange a birthday celebration for 100 guests at the Burj Al Arab, charter a Gulfstream from New York to London, pamper themselves at Dior, Chanel and Louis Vuitton in Paris, fill up their yacht in the Med or their car at the gas station – all they need is a Catella card and an account with you. Catella is a fully regulated bank and specialist bankcard issuer based in Luxembourg and operating in the ultra-high and high net worth market. We’ve been entrusted by our partners, most of whom are private banks, family offices and wealth managers, for over 25 years to issue Visa cards and Mastercards to their U/HNW clients. Wealth Dynamix is a multi-award winning financial technology provider, underpinned by deep domain expertise. They specialize in the provision of cutting edge Client Lifecycle Management to the world’s leading private banks and wealth management firms. The solution addresses key industry challenges presented by the complex requirements of Client Lifecycle Management and the orchestration of key activities. These include client acquisition, onboarding, regulatory compliance, relationship management, client servicing, business intelligence and digital portals (client and advisor). Leveraging Microsoft’s industry leading Dynamics 365 platform, Wealth Dynamix’s solution helps clients effect strategic digital transformation programs, assists them in better managing and servicing their clients as well as satisfying evolving regulatory requirements. Private Banking & Wealth Management: London 2019 Conference and Awards boasts a variety of exciting sponsorship and exhibition opportunities. Features include prime speaking positions on the main programme, an exhibition offering suppliers a platform to network and showcase their solutions, and intimate roundtable discussion groups, enabling vendors to promote their solutions in interactive sessions. If you have a service or product you would like to showcase, please use the details below to make contact with our team. The Private Banking & Wealth Management: London 2019 will take place on 13th June in London. Please see the Winners on the tab above for 2018 winners. Nominations are now open – deadline for entries is 5pm GMT on Friday 26th April 2019. Submissions should highlight the key differentiator and competitive nature of the project or implementation. The Editor and Judges reserve the right to make no award for any specific category. The Editor and Judges reserve the right to move a submission to a more appropriate category at their discretion. In submitting for more than one category the submissions must be unique (see 3). The Editor and Judges’ decision is final. Please note: Whilst we recommend you to try to submit against as many of the criteria as possible, we appreciate that for some companies this may not be possible. The more you can respond against the stronger your application will be, but we would like to highlight that submitting against all criteria is not mandatory. Good luck in your submissions! Please describe your institution’s wealth management technology platform and why it deserves this award? When was this platform launched and how have you developed this service in 2018? Please describe the service offering you are entering and why? When was this product launched and how have you developed this service in 2018? The following award is presented to an individual and as such these will be awarded by the judging panel without prior nomination. The programme for Private Banking & Wealth Management: London 2019 Conference and Awards is currently in production. We are at present conducting primary research with over 50 companies in the sector to ensure our content is focused and offers real value to attendees. If you are proud of an initiative you would like to share with your peers, please get in touch with us. MK = If you heard about the conference through email, social media, our website or one of our partner's sites or emails. If you are responding to an advertisement please use the code listed in the advertisement. We reserve the right to change event details if necessary, although we will endeavor to keep all changes to a minimum. We will inform you as soon as possible of important changes, for example name or date changes. Substitutions may be made in writing at any time and will incur no penalty fee. Cancellations without a substitute delegate received a month prior to the event will be subject to a 20% cancellation charge. Delegates canceling after this date without a substitute delegate will be required to pay the full fee and no refund will be made. Cancellations must be received in writing or via email and will not be accepted over the phone. We reserve the right to cancel the event by reason of Force Majeure, included but not limited to fire, flood, extreme weather conditions, acts of war or violence, malicious damage, explosion, earthquake, strike, civil disturbances, political unrest, riot, labour dispute, power cuts or any other extraneous variable beyond FNP’s control.